The vessel is obtained by the group through crowd sourcing and aims to confront refugee rescue boats. According to the information given to Customs and Immigrations, 20 people from the ship’s “crew” will get off from the boat to go back to their country via air, and 10 other will board, before the ship sails off, tomorrow. The vessel gave information to the Customs that it is an “EU ship aiming to rescue refugees from the sea”. 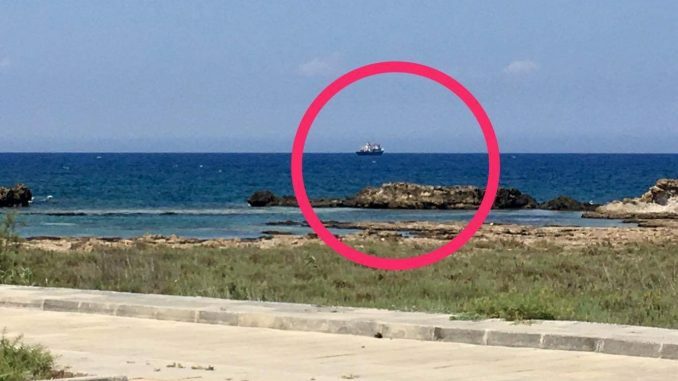 However it is questionable why an “EU” ship is not using a European Union port in the RoC but prefers using the Famagusta port in the north. Reliable newssite Independent also confirms the ship belongs to the far right “Defend Europe”. According to the Independent, the ship was held up in Suez Channel for giving false information on the crew, but let go afterwards.